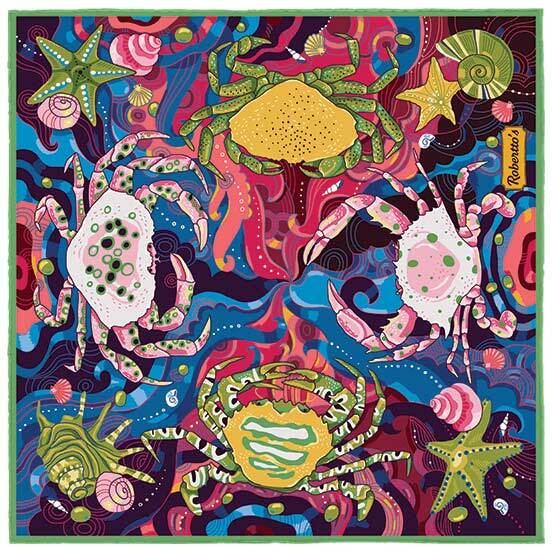 For thousands of years, the humble crab has been a powerful symbol of independence in various cultures all around the world. While other creatures in the animal kingdom take the obvious route ahead of themselves, the crab steps, weaves and dances sideways, always approaching their destination from their own, unique angle. 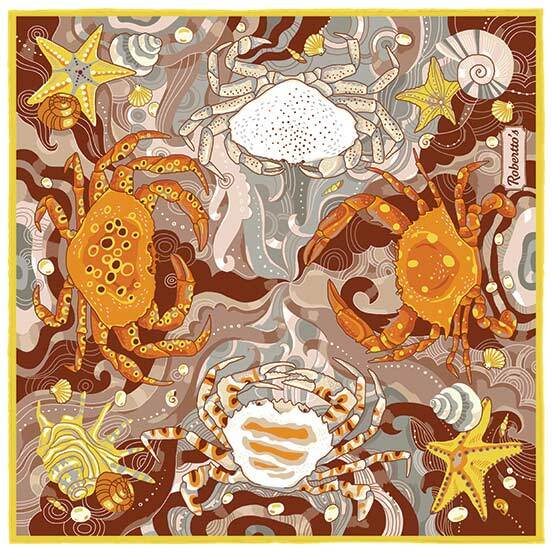 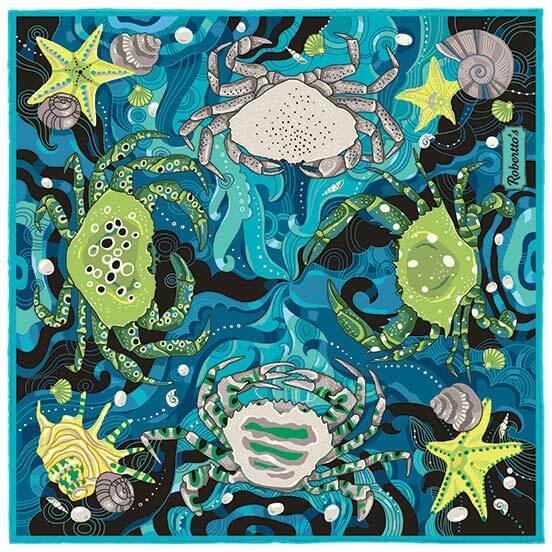 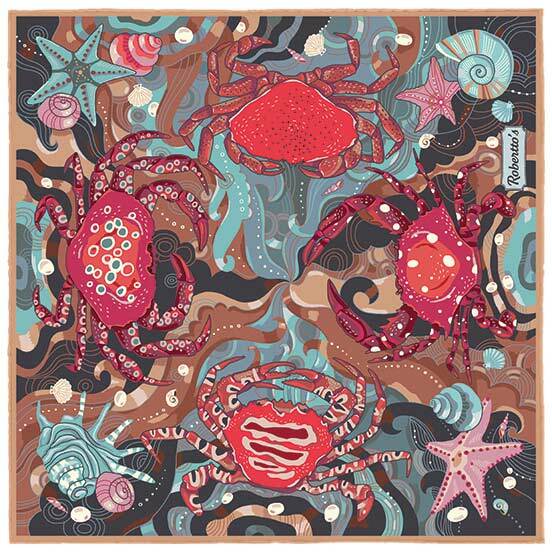 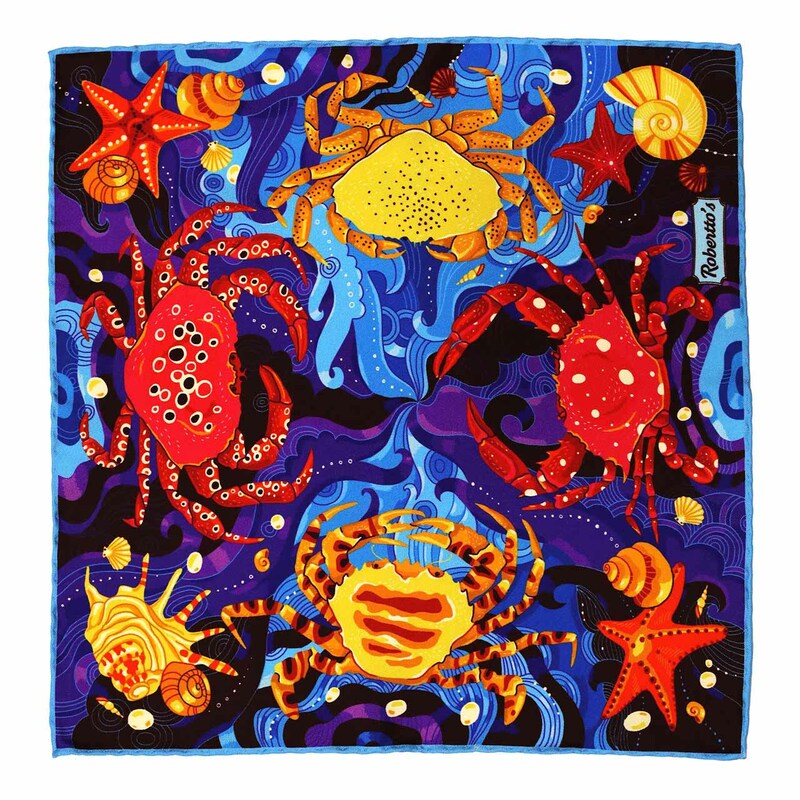 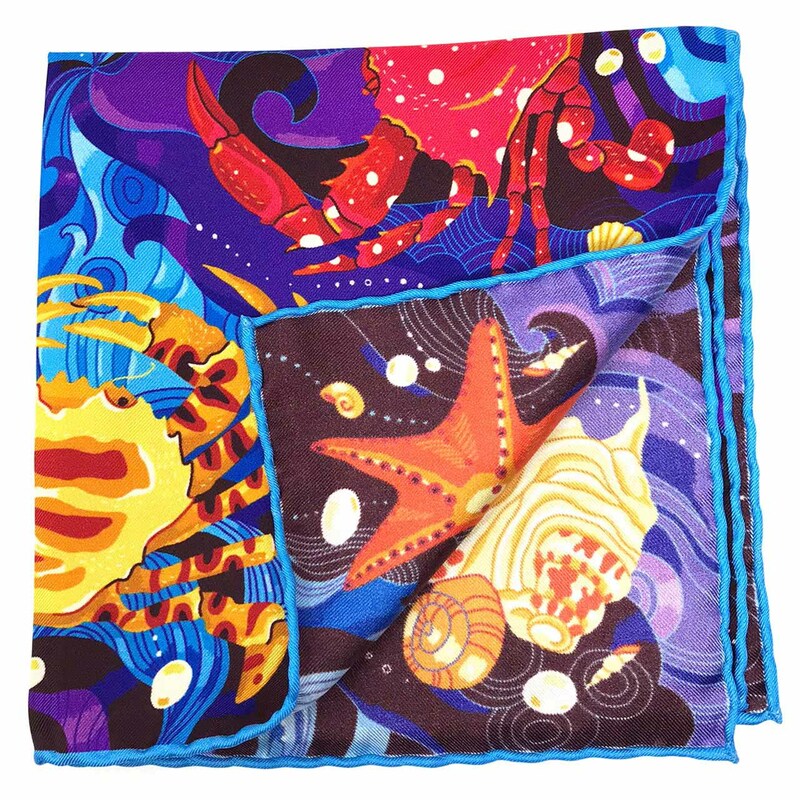 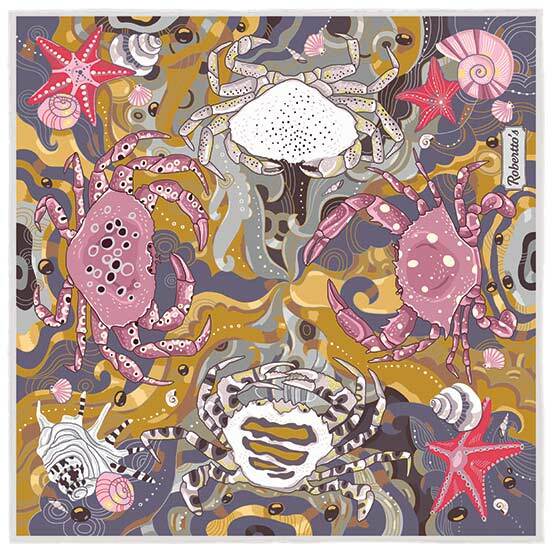 As such, this high quality pocket square, emblazoned as it is with four beautiful crabs surrounded by stylized, elegant waves and seashells, is the perfect choice for those individuals with a bold, personalized, strident sense of style. 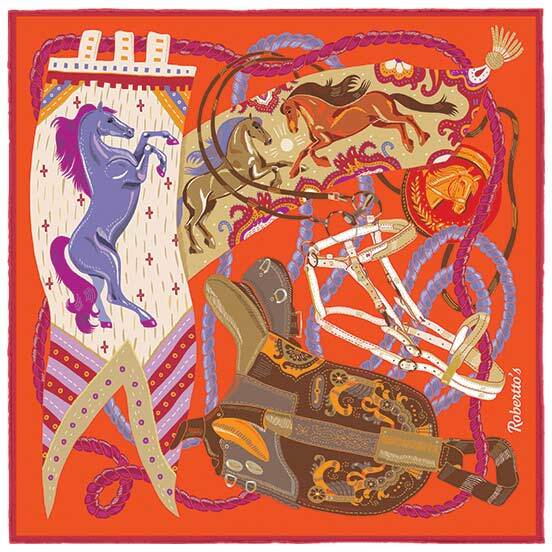 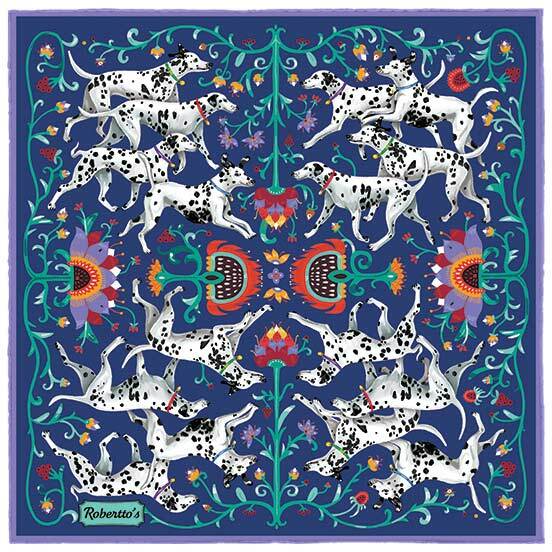 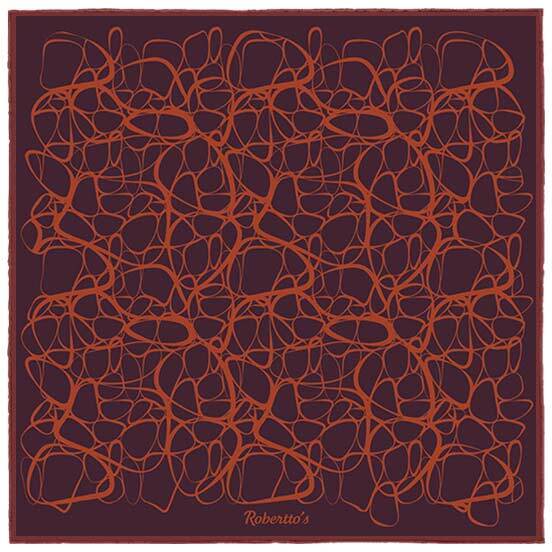 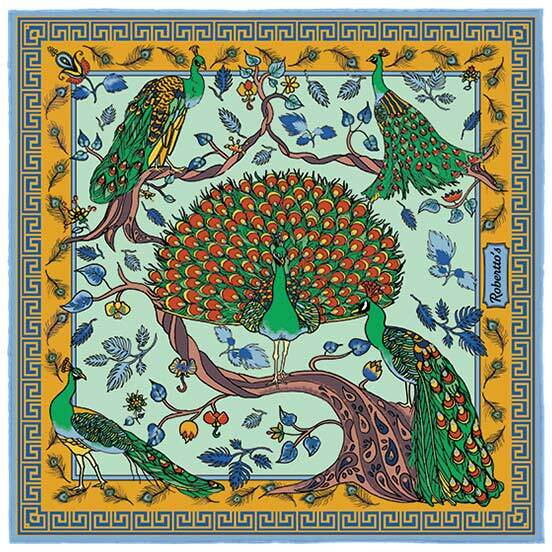 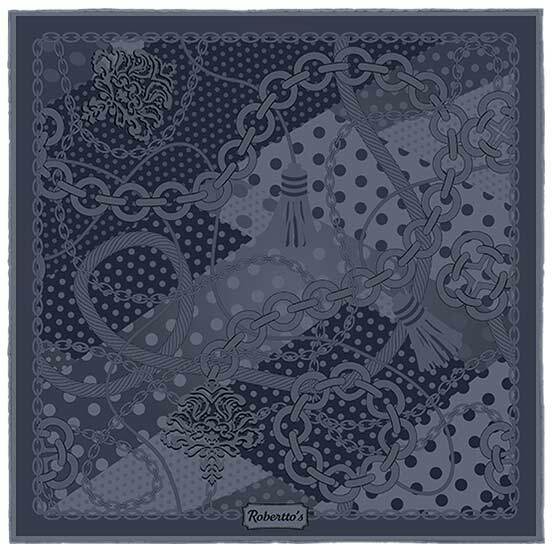 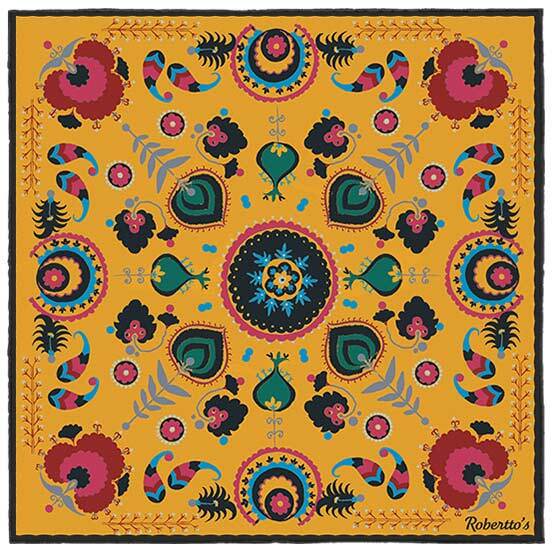 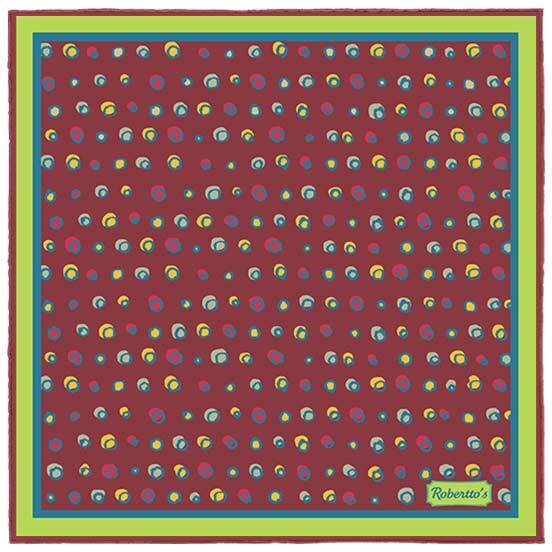 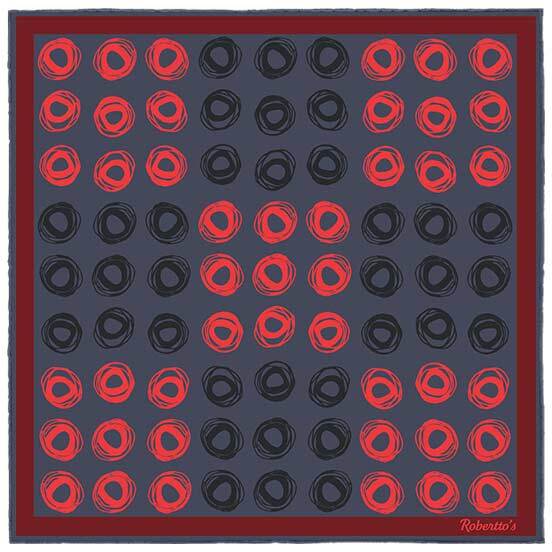 Silk pocket squares are the ideal suit accessory for bringing a touch of personality to an outfit, and this design with its gorgeously Art-Nouveau inspired illustration would be an exciting, sophisticated and eye-catching choice for brightening up any outfit. 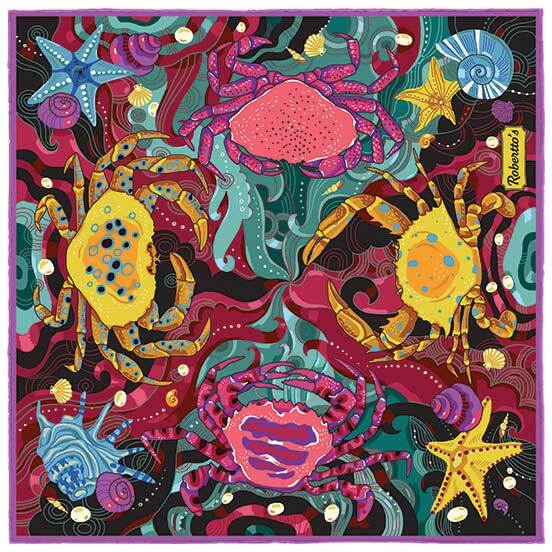 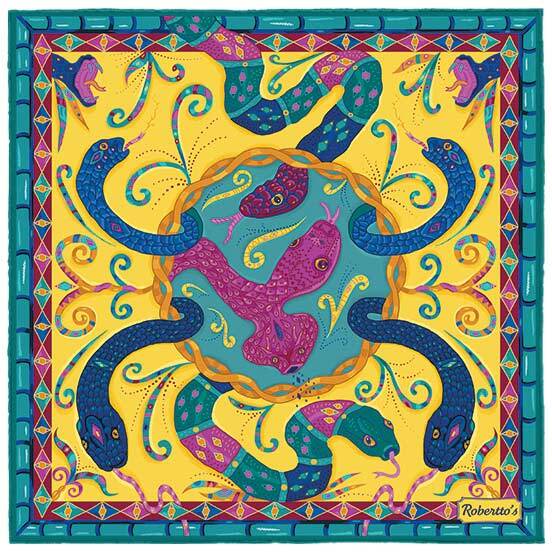 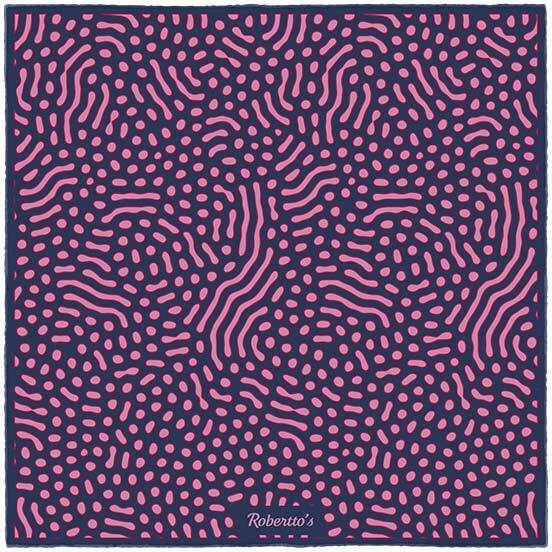 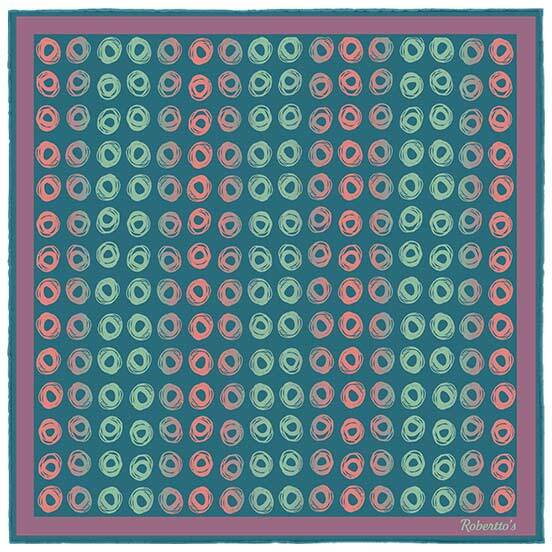 The design of this stunning silk pocket square is a riot of color, hypnotic, swirling lines and beautifully drawn denizens of the deep. 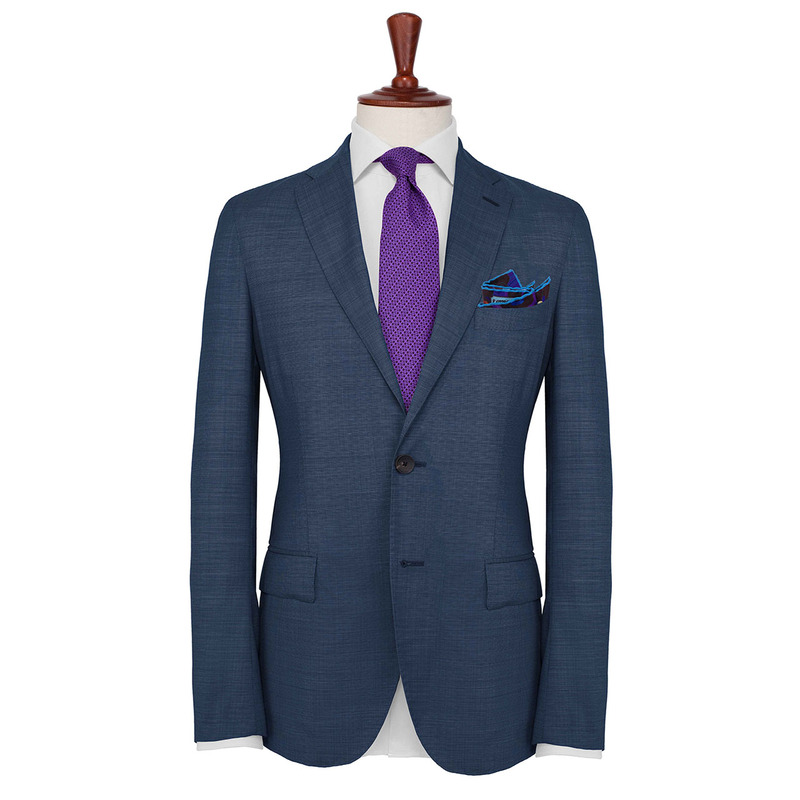 The sky blue hand-rolled hem and violet background bring more than a touch of regal, decadent sophistication to the pocket square, and there is little doubt that this delightful handkerchief would look splendid when worn with a wide range of outfits. 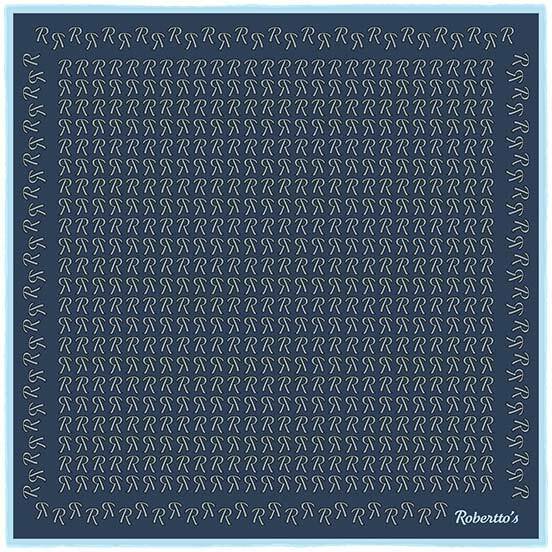 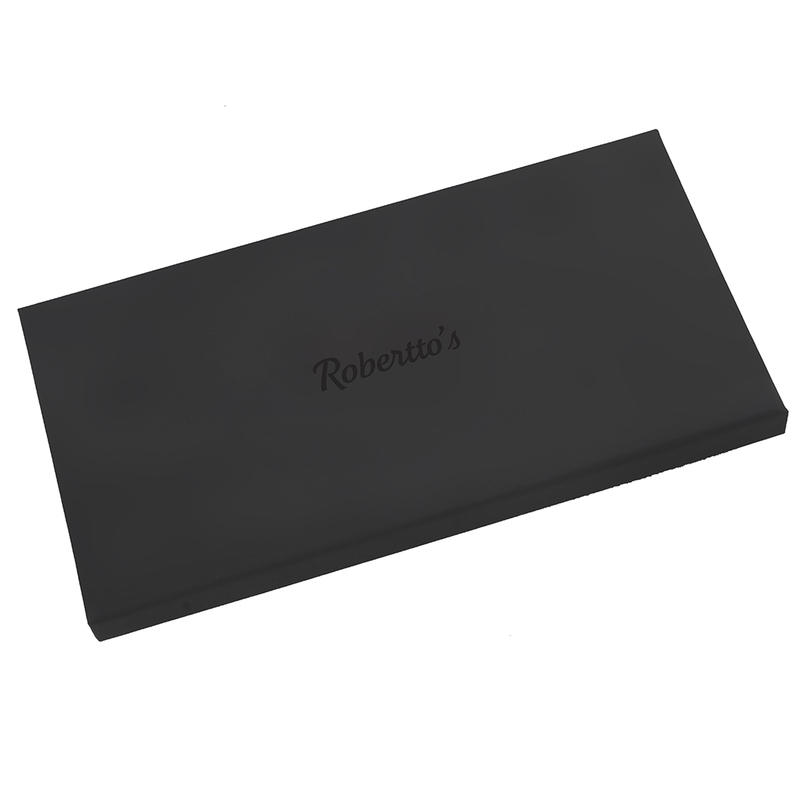 However, for a brilliantly striking and decidedly modern look, wear this pocket square with a navy blue blazer, a white shirt, and a pair of classic blue jeans.